Dynamic Digital Advertising is one of the nations top custom website design companies and provides businesses based anywhere in the United States with the professional website design and website development process necessary for building a website that ranks on the first pages of leading search engines such as Yahoo, Google, and MSN. As Dynamic Digital Advertisings primary website design tool, the fourteen-step process clearly defines what needs to be accomplished. The first steps detail what the client wants to accomplish through website promotion while the final steps enhance the websites search engine optimization methodologies. As a leading graphic design company, Dynamic Digital Advertising offers clients a great number of graphic design services which are excellent for creating a variety of multimedia. Professionals in advertising and marketing businesses effectively in the 21st century, Dynamic Digital Advertising is proud to house one of the most extensive and diverse graphic design services offerings in the nation. Whether you want large format billboards and truckside signs, trade show graphic design, logo redesign, brochures, sell sheets, etc., Dynamic Digital Advertising provides the materials you need for success. Most humans learn best through visual and audio instruction, which often leaves printed manuals insufficient for explaining the assembly or operation of a product. Provide your audience with a functional understanding of your product with instructional CD-ROMs by Dynamic Digital Advertising (DDA). A leader in digital technology, DDA creates the CD-ROMs that work in just about any CD drive and show step-by-step assembly, correct operation, or troubleshooting procedures. Many users benefit from meeting a digital tour guide and have an easier time comprehending information that way. Dynamic Digital Advertising includes digital videos of live people, such as corporate spokespeople for your company, as well as broadcast digital audio, which provides a pleasant human vocal experience. Depending on the needs of the client and the clients audience, DDA creates animated character hosts who can be an important component of a corporate identity or product branding. Interactive instructional CD-ROMs that feature either of these types of hosts create a stronger connection between a company and its audience. Virtual reality is the ideal tool for walking users through a complicated process. With virtual reality users can get an up-close look of exactly how to operate a machine. Unlike digital videos, interactive CD-ROMs are controlled by the user, who can choose to view a specific tool or replay a certain segment. DDA creates animated and photo-realistic virtual realities that are ideal for medical procedures for CME, scientific equipment, industrial machinery, CRM software programs, and more. 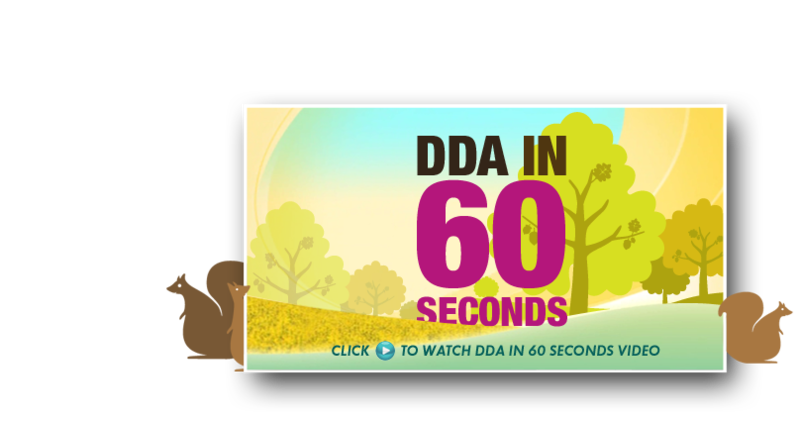 While DDAs CD-ROMs teach customers with high-end interactive tools, CD-ROMs are not able to contain up-to-the-minute information on updated services and upgraded products. Dynamic Digital Advertising overcomes this potential problem by inserting hyperlinks that take users directly to your website. With this website promotion tool, you have a chance to impress customers, offer special discounts or free gifts, collect valuable customer feedback on the product or CD-ROM, showcase other products they might want, and much more. Dynamic Digital Advertising, a professional custom website design company, also develops state-of-the-art websites that can market your company effectively to your current customers who enter through CD-ROM links as well as potential customers who visit by way of search engines. Paper instructional manuals can be expensive to print and ship as well as lost or discarded by customers. Dynamic Digital Advertising designs and develops interactive instructional CD-ROMs for a fraction of the price of long, complicated manuals. Customers find these discs easy to store while your company can cost-effectively replicate or duplicate, ship, and replace CD-ROMs that customers have lost. Avoid unnecessary expenditure and gain satisfied customers by contacting DDA for instructional manuals on CD-ROM today. Dynamic Digital Advertising provides the interactive tools that facilitate higher levels of customer satisfaction and reinforce positive, professional corporate identities. Contact DDA to start building stronger relationships with customers today. 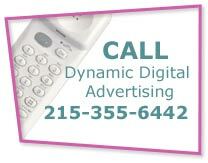 Based in the greater Philadelphia area, Dynamic Digital Advertising has been providing the marketing materials that satisfy both our clients and their customers, clients, investors, and partners. DDA maintains a variety of communication tools such as webcasting that provide the technological capacity necessary for conducting business on an international level. With current clients based in many states including California, Texas, and Illinois as well as northeastern states such as Pennsylvania, New York, New Jersey, and Maryland, Dynamic Digital Advertising is able to provide companies located anywhere in the United States with the materials that turn advertising campaigns from ordinary into extraordinary. Contact DDA now to learn more, or continue exploring our website to learn about other service areas including trade show graphic design, custom website design and development, search engine marketing, custom programming, and more.